Prysmian Group – using global solutions and expertise to modernise communication systems in remote communities in New Zealand. 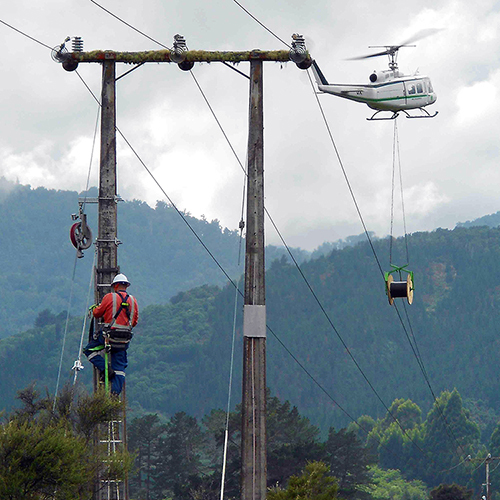 The Te Urewera Fibre Installation project, which forms part of the New Zealand Government Rural Broadband Initiative (RBI) School program, is another successful project supported by Prysmian Group. 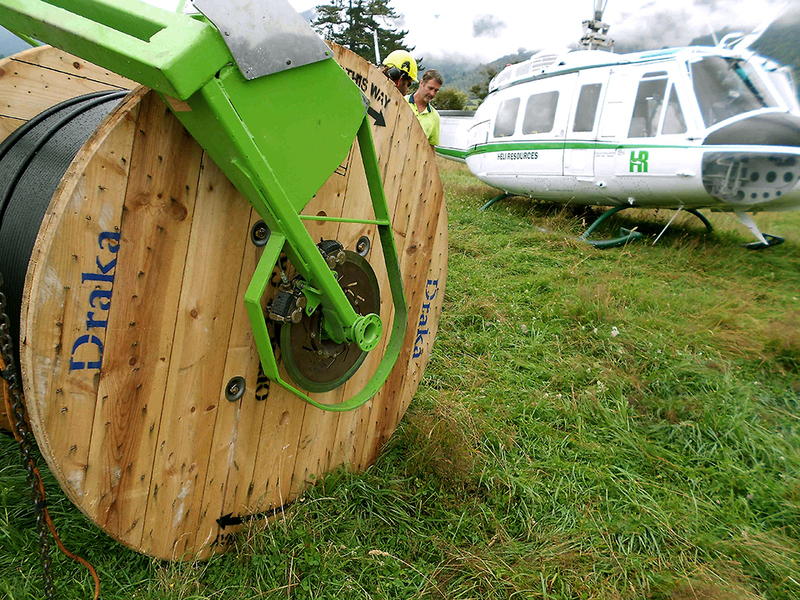 The project saw fibre supplied to 3 rural schools and more communities in in the Te Urewera area. 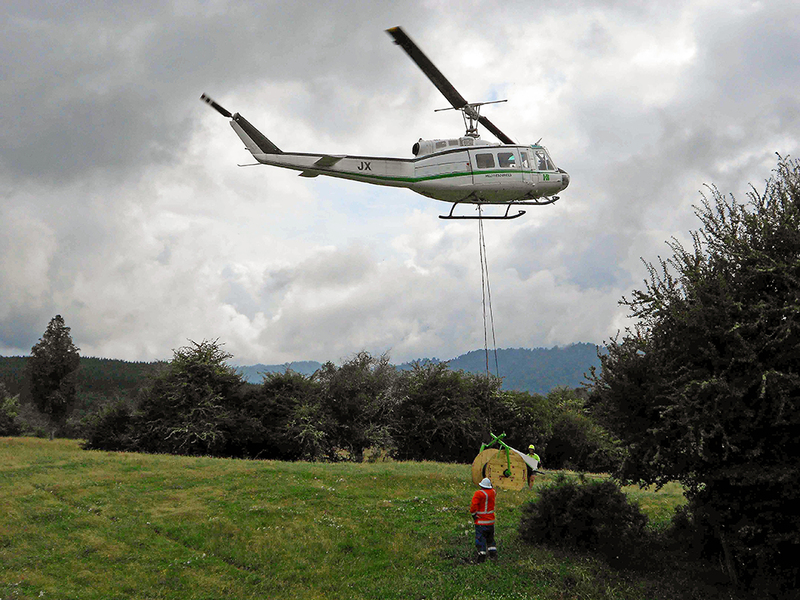 It was decided that an aerial installation would be best suited for the environment and therefore the only practical way to erect the cable on nearly all of the power lines was by helicopter. The Te Urewera landscape consists of steep, rugged hills and native bush making access by land difficult. The winding roads are unsealed. Power polls can be far apart with the longest span being 1100m (compared to the typical urban aerial span of 40m). This demanded a different type of cabling that was outside the regular product portfolio. Prysmian Group used their strengths as a global supplier in sourcing cabling which would rise to the challenge and provided Chorus with our Long Span All Dielectric Self-Supporting (ADSS) cable from our Spanish Draka affiliate which allowed for the suspension of cables for spans over 1000m. Our team was also able to offer on-the-spot advice when customers were dealing with unexpected issues during installation.